Blended Classes and Block Schedule: Good or Bad? This year marks the first school year that both blended classes and block schedule are being implemented in the classroom. Many students had their initial doubts about the changes coming to CHS, but the freshmen students now conclude that the changes were for the best. Rekiyah Bobbitt, freshmen, likes blended classes because she appreciates that the honors students, who have been through standard classes before, can help out the standard students. 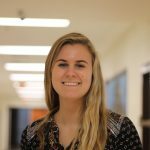 “In marketing class, and all my other classes but marketing especially, whenever I have trouble, some honors students help me,” said Bobbitt. Bobbitt also believes that blended classes create a more inclusive and less stressful school environment. “If it was separated ㅡ only standard in one class and honors in the other ㅡ it would make children feel excluded or not as smart if they weren’t in honors,” said Bobbitt. Katherine Stephens, freshmen, thinks that blended classes bring many people together in an inclusive and accepting way. “I think it’s nice that we can interact with a more diverse group of people,” said Stephens. “It’s not like the honors kids sit together and the standard kids sit together; it’s really mixed. The only way that you can really tell who’s in the different classes is which papers they get when the teachers hand them out,” said Stephens. Bobbitt understands that block schedule is an effective way to allow freshmen to adjust to high school. “I feel that it’s a little less stressful, and there are less due dates since it’s less classes to take. You can really focus on the five subjects you have. It’s less homework, and you get to know your teachers better,” said Bobbitt. However, Bobbitt says she would prefer to not have block schedule for the rest of high school because she thinks that after freshman year, she will be adjusted to high school and would rather have classes with different people. “I think we should go back to all seven periods, so we can see different people in our different classes,” said Bobbitt. Stephens acknowledges that blocked schedule means that students have less homework. However, she doesn’t like the way that the classes are grouped together. “It’s kind of nice because we don’t have as much homework because we only have five classes rather than seven. I don’t like that now, we have social studies and language arts because those are my two favorites, and in the spring, we have biology and gym, which I don’t like as much,” said Stephens. Stephens also worries that the students are less likely to remember the material from the classes they took in the first semester. “The classes you have in the first semester, you might not remember as well the next year because you learned it all in the first half of the year, and then, you get your exams over with,” said Stephens. The freshmen have exposed that there are many pros and cons to the block schedule and blended classes system. However, they think that the pros outweigh the cons and look forward to what their sophomore year will structurally look like.